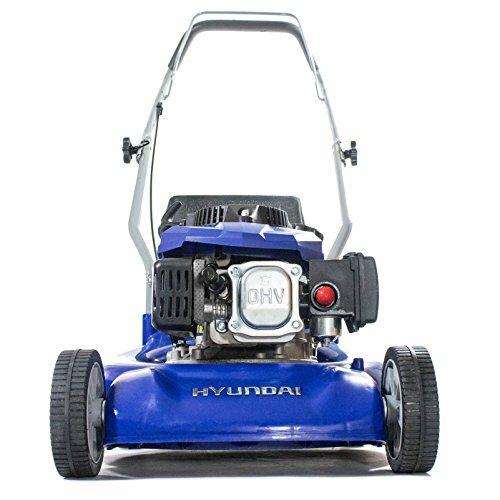 New to the Hyundai garden machinery range in the UK, and the smallest model of all the new Hyundai lawn mowers, the HYM40P is a push-type mower with 16in / 400mm cutting width. 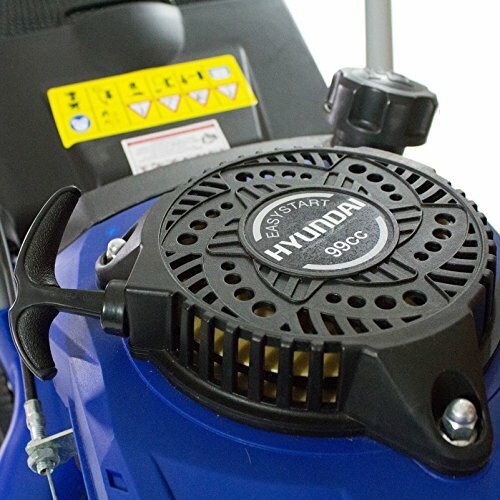 Similar in stamp to the HYM43P, the other push mower in the range, the HYM40P is powered by the 99cc 4-stroke Hyundai recoil start petrol engine, with easy-starting CDI ignition. The cutting deck is made from durable polypropylene which prevents the machine’s deck from rusting up. 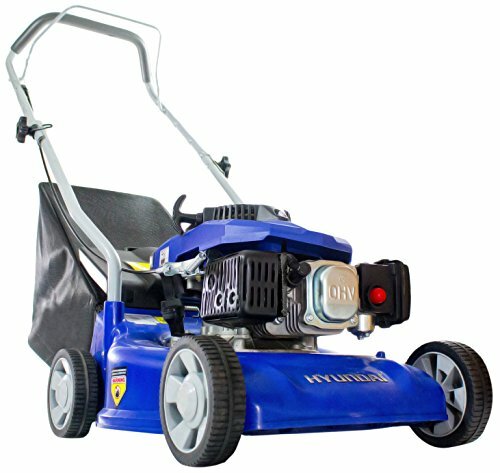 It runs on straight unleaded petrol and features a 3- stage individual wheel height adjustment for varying cutting heights. 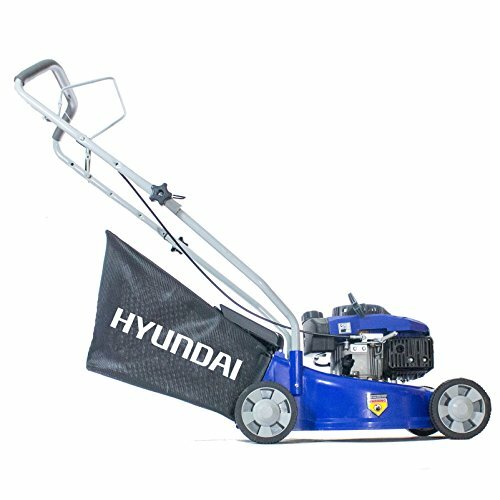 It’s compact design and low weight make it a breeze to move around whilst mowing or lifting in and out of the car boot It has a large, 45L polyester grass collector and fold-able handles which now comes with a soft-grip handle for a more comfortable all-round operation, making for an easy use, storage and transportation solution overall. 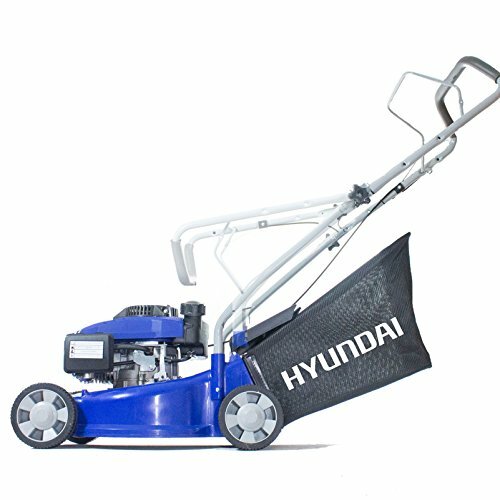 A 2-year domestic-use warranty comes as standard on all Hyundai lawnmowers. Shipping on the item is for UK non-extended mainland areas only. Shipping surcharges may be incurred for other areas such as Scottish highlands, outlying islands around the UK, IoM, IoW, Isle of Sky, Northern Ireland and Eire. 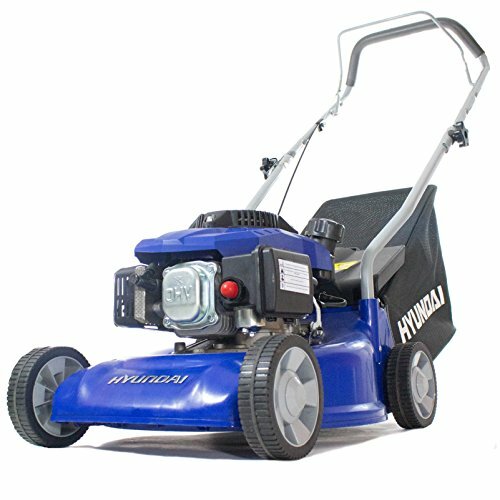 With a 400mm cutting width it’s ideal for cutting small to medium sized lawns, up to approx. 20m x 20m.